If you currently live in or around the area of Northville in Michigan and are searching for a limo bus, then rest assures that your search has finally come to an end. Instead, what you have here before you is a company that will not only listen to what your needs may be, but will then deliver a quality experience for you and all of your guests. We understand that people have certain expectations when it comes to a limo bus, and we are not going to let you down in any way at all. That begins from the moment that you get in touch with us, and we can guarantee that you will love the level of customer service that you experience in our presence. First of all, we want you and your guests to feel quite comfortable when on board, and if you thought that we would just push on as many people as possible, then think again. Instead, we provide you with a luxurious seating arrangement that will not only allow you to go ahead and invite more people on board, but there is also no need to be concerned about the space either. What we have done is sought to make the best use of the space possible, so that everyone will ultimately be able to enjoy themselves. As well as making things as comfortable as possible, we have also looked at ways in which we can provide you with an amazing atmosphere. After all, you are probably going to be in a celebratory mood, so we want to just help move that along somewhat, and we have done this by making sure that there is an amazing sound system on board. Ultimately, what you get is a wonderful experience when in our company. We also make sure that our limo bus comes up to the standards that you would expect from a cleanliness point of view as well. Our bus is valeted before it gets to you, so there will be no way in which you will feel let down by any aspect of the service that we offer. Furthermore, our driver is on hand to help you with any concerns or problems that you may have, and they will only be too happy to help. Our limo bus is available for any kind of celebration from a birthday to an anniversary or anything else that you care to imagine. For us, the reason is less important than our desire to provide you and everybody else with the type of experience that they deserve to have. 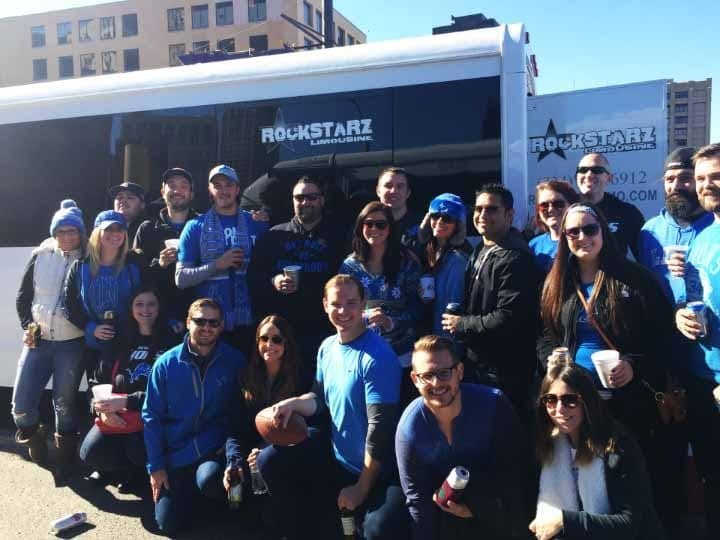 Ultimately, if you do live in the Northville area of Michigan and are searching for a limo bus, then just know that your search has come to an end. Make your life substantially easier for yourself by giving us a call today and see how we can help you. We promise that you will not regret it and will be able to have an amazing time with us.